Announced in early February, Sugar & Sas is the exclusive partner to grow the pjur brand and sales in Australia and New Zealand. 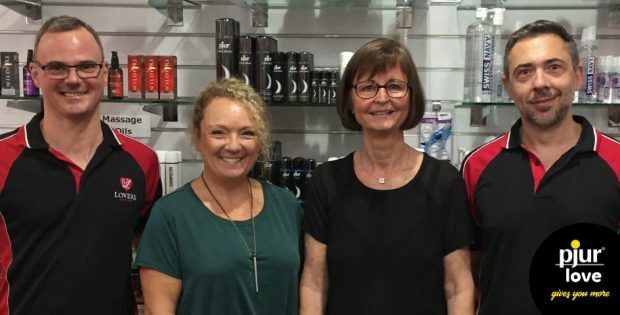 Following up on customer activities and training sessions, Katrin Kühnrich, Senior Associate Business Develop-ment went to Australia to foster good relationships with retailers on site. “It was great having Katrin here, meeting customers with our team. Her expertise, her knowledge of the market and the pjur brand are beneficial for everyone. Katrin met 37 (potential) customers in five Australian cities. She really made an effort to meet as many as possible”, says Jo Radnidge, General Manager Sugar & Sas. During her ten day visit, Katrin met major customers in Sydney, Melbourne, Brisbane, Gold Coast and Perth. “We’ve seen that most stores sell pjur’s best-selling lubricants, but there is so much more about pjur! Now we need to step up our game with attractive slat wall displays, that present the whole pjur range of personal lubricants and enhancement products to strengthen pjur’s brand visibility in-store. I’m sure even regular customers can find new inspiration” says Katrin from pjur. The new slat wall displays, as well as the newly launched POS materials were well received. Particularly because retailers will get support from Sugar&Sas sales representatives, who will set them up and do trainings on-site. 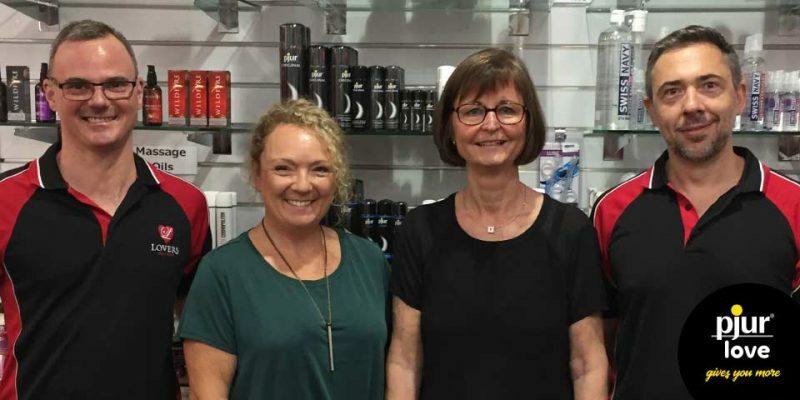 “With Nicole, Belinda and Rose visiting retails on a regular basis, I am very confident about the devel-opment of the pjur brand in Australia”, says Katrin.